I’ve looked at several Artgig apps in the past, mostly their math and word apps and my kids have enjoyed those. However, this new app is much different from their previous ones and is now something that even adults can enjoy. 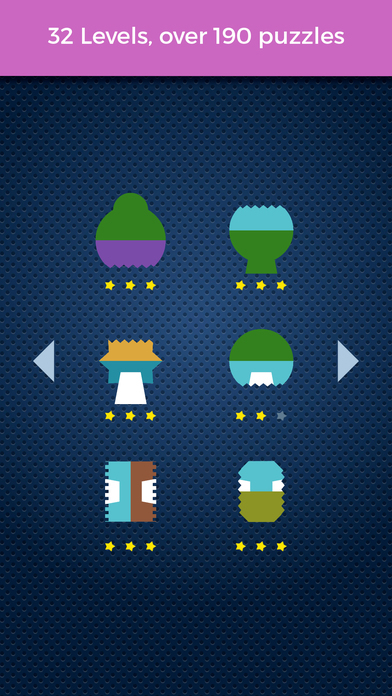 It’s called Sembl and is a puzzle game based on colors, shapes, and design. 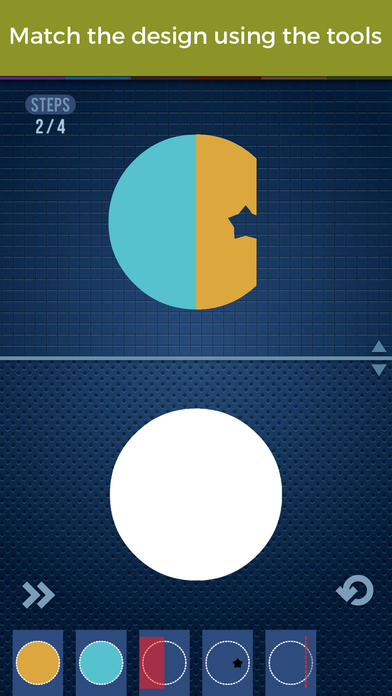 Sembl works like this, a shape with some random pattern is show on top while several design elements are shown below it. So for example, it could be a circle that is half red and half blue. 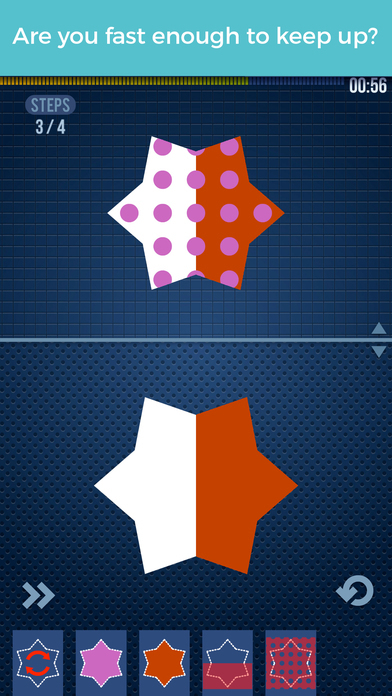 With the design elements below, you’ll have to figure out how to make the exact same pattern by using colors and masks. Usually the solution isn’t too hard and the game will give you a minimum number count of how many steps it will take to solve the puzzle correctly. There are two modes of play in Sembl – Challenge and Journey. 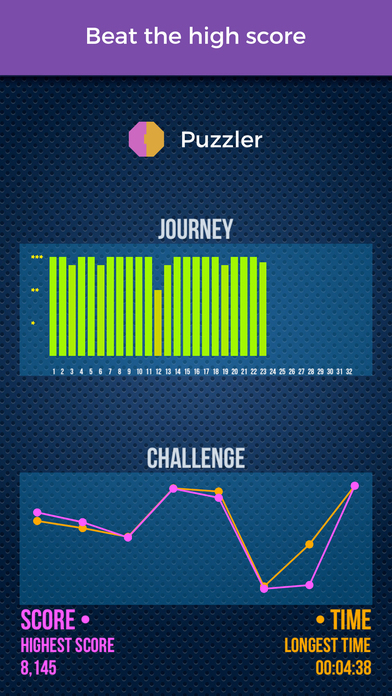 Challenge mode sees how many puzzles you can solve in a set time limit, while Journey has you solving puzzles at your own pace. Both are fun to play. While have some design background will help you solve these puzzles, anyone can get into it once you figure out the core mechanics. You just need to know what masking does and how it affects where colors get placed. 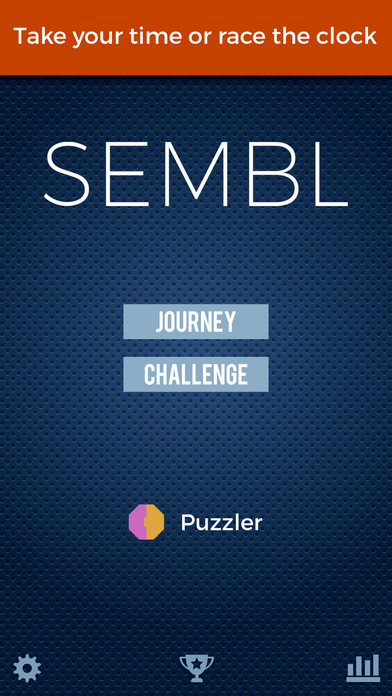 Sembl is a different puzzle game that actually makes you think. While some of the later puzzles can be challenging, they aren’t terribly hard where they’re frustrating. It’s also quite a relaxing game as well that lets you play at your own pace.